Richard Stallman is one of the most revolutionary thinkers and activists of the twentieth century. Thanks to him we have things like GNU and free software movement. 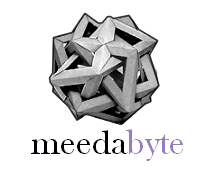 Meedabyte had the opportunity to publish an interview with him about the threats to personal freedom deriving from using what is commonly identified as SaaS. All of us use SaaS every day but the contours of this phenomenon, which has so many obscure points for users, are rarely clear. Emerges a clear picture: on one hand users, citizens, taxpayers, on the other huge economic interests. In the middle, the need for individuals to mobilize and be the first lawyers of their own Freedom. Richard Stallman è uno dei pensatori più rivoluzionari e gli attivisti del ventesimo secolo.A lui dobbiamo cose come GNU e del movimento del software libero. Meedabyte avuto l’opportunità di pubblicare un’intervista con lui riguardo le minacce alla libertà personale derivanti dal Software as a Service. Tutti noi usiamo SaaS ogni giorno, ma i contorni di questo fenomeno, che ha così tanti punti oscuri per gli utenti, raramente sono chiari. Ne emerge un quadro chiaro: da un lato gli utenti, cittadini, contribuenti, dall’altro enormi interessi economici. Nel mezzo, la necessità per gli individui di mobilitarsi e di essere i primi gli avvocati della propria libertà.